Adopting agile methodologies to software development processes helps software companies to sustain their growth through efficiency for long term. In the digital transformation era, Industry 4.0 as part of High-Tech Strategy 2020 for Germany involves agile principles and brings the latest technological trends in production process. 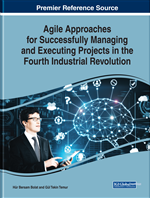 The purpose of this chapter is to design a proper agile project management performance measurement model for start-up software companies. First, all key performance indicators related to agile development in the literature have been listed. Then KPIs that are provided from literature review with content analysis have been reviewed and categorized by expert opinions that were collected through in-depth interviews. Seven strategic KPIs and their data collection systems are defined and designed. Lastly, process and data collection improvements are recommended in order to sustain agile development measurement model. Theoretical background is presented in the following sections. Background section has two parts: (i) Project Management Methodologies in Software Development and (ii) Performance Measurement in Software Development Projects. In these sections, sub-topics are presented in a deductive manner, from general terms to specific terms about agile KPI’s for performance measurement in software development projects. After giving brief information on the Project Management Methodologies in Software Development, we focus on the Agile Project Management Methodology and, for being the most popular and most widely researched Agile methodology, we provide insights about SCRUM method. In the second section, we provide basic concepts and definitions about Performance Measurement in software projects, and then we present the characteristics of Key Performance Indicators that are the major tools for tangible performance measurement. Referring to Agile Measurement Principles, we combine Agility and KPI concepts in the subsection of “Agile KPI’s.